Now, five months into this little adventure, I'm ready to share some updates and changes we have made! 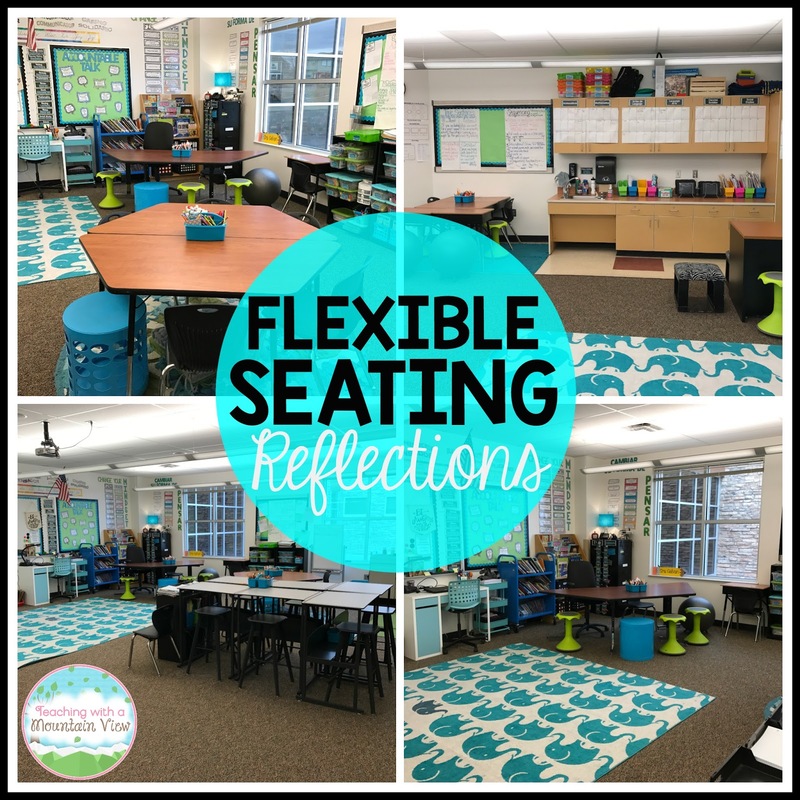 First of all, I want to be totally clear that implement flexible seating has most definitely not been all rainbows and sunshine. There have been days when I've looked around the room and wondered what on earth I've done. Then there have been days that I look around the room and am in awe of the beautiful way these children are working together, all while making their own choices. 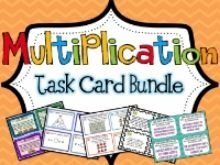 Organization: My students have never been more organized than they are now. Each student has a book box where they keep all of their folders, spirals and work in progress. 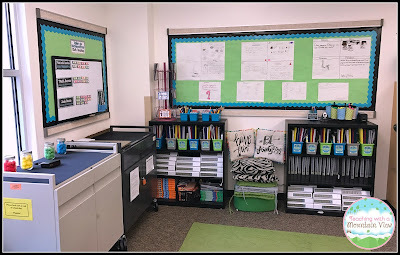 They also each have a social studies binder and a writing binder stored in different areas around the room. We clean them out about once a month. It is so rare to hear a student say they can't find something, because there are no endlessly messy desks. I tell them where to put a specific piece of work (i.e. 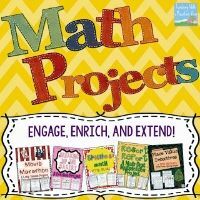 this goes in your yellow math folder), and they all head to their book boxes and slide it into their folder. Since the book boxes are relatively small, they really don't have room to shove it in. 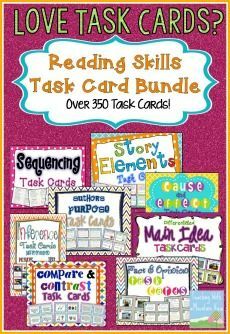 It has been a beautiful organization system for even my most unorganized students. 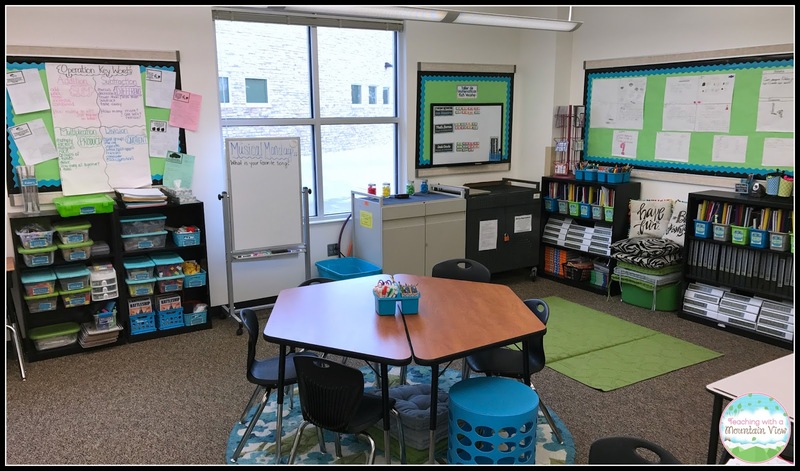 Movement and Flow of the Room: Since kids have NO personal supplies at their desks, the room is completely and totally flexible. That means that they can have their "Home Base" where they are sitting for instruction and independent work, but when it's time to move around for small groups, partner work, etc. there are multiple, distinct work places ready to go that are completely clean. I LOVE this aspect of it. I usually meet with my small groups on the floor now (where the elephant rug is) while other groups work in other parts of the room. 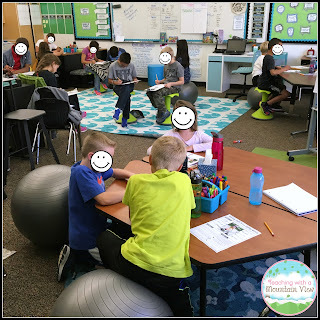 A HUGE Energy Outlet and HIGHER Engagement: It definitely took some getting used to, having kids bouncing on balls and slowly rotating on the Hokki stools, but now that I'm used to it, it's amazing the different it makes in student engagement! This is especially true when I'm doing a whole class lesson. 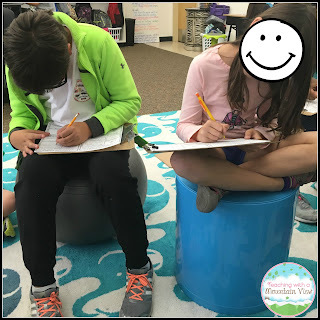 Instead of fidgeting, drawing, playing in desks, students are now standing, on balls, etc. and still intently focused. It's awesome! Open Space: Since we used what used to be extra tables as some of our seating options, this opened up a TON of space for us! Never before have I had such a HUGE gathering area, and I love, love, love it. All of the students can fit on the elephant rug easily, and ALL 29 of us can make a large circle. 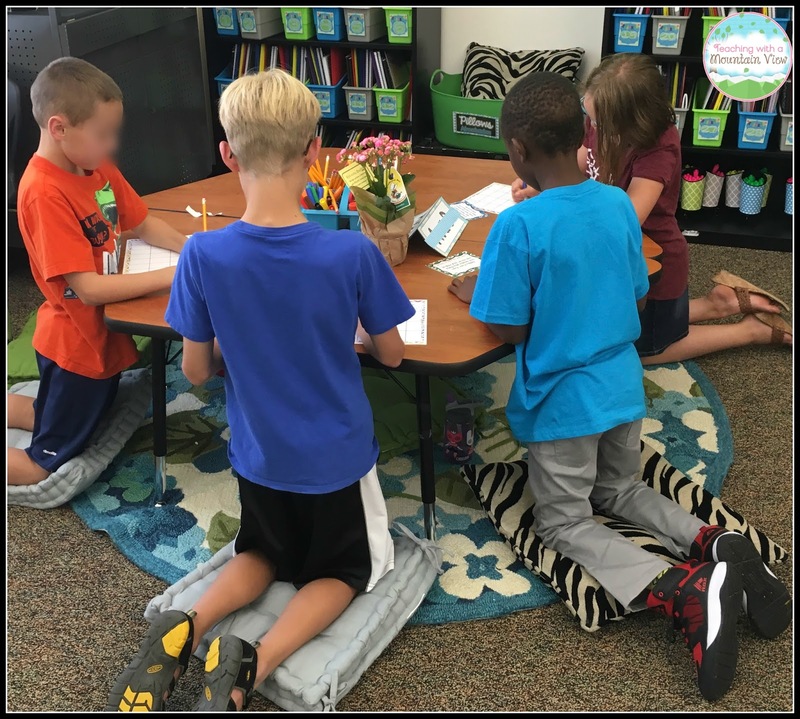 This has always been hard to achieve in the past when we've had 28 desks, plus a teacher desk, plus two or three "group" tables. At the beginning of the year, we had all of their cubbies together in one location. It became very clear very quickly that this was not going to be the most efficient way for them to function. At the end of every activity, they have to put their stuff into their cubby, and it would be major gridlock in the one area of the room! So, we moved their cubbies all around the room so that they were scattered about the room and kids were going in different directions to put things away. At the beginning of the year, ALL 30 book boxes/cubbies were on these two book shelves. Now, you can see that they are spread out between the book shelves, the cubbies on the back wall, and the bookshelf in front of the standing desks. 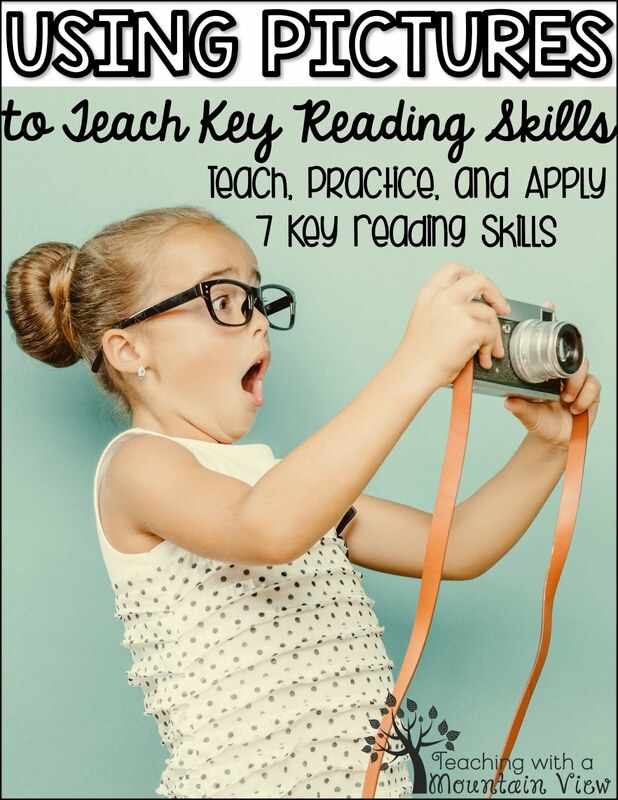 This change helped the flow of the classroom tremendously! We still keep their writing and social studies binders in the same place, but they don't stay in numerical order. You can also see in the above pictures that we added TWO computer carts to our room. One holds all of our BYOD (Bring Your Own Device) devices and the other holds Writers, which we use to practice typing skills. They are HUGE, and they aren't my favorite thing in the world, but there's not much I can do about it! This was taken on the first or second day of school. It was pretty novel at first, but kids did not prefer this as their daily seating choice! One of the other changes we made (more recently) is that students can move the seating options from table to table. 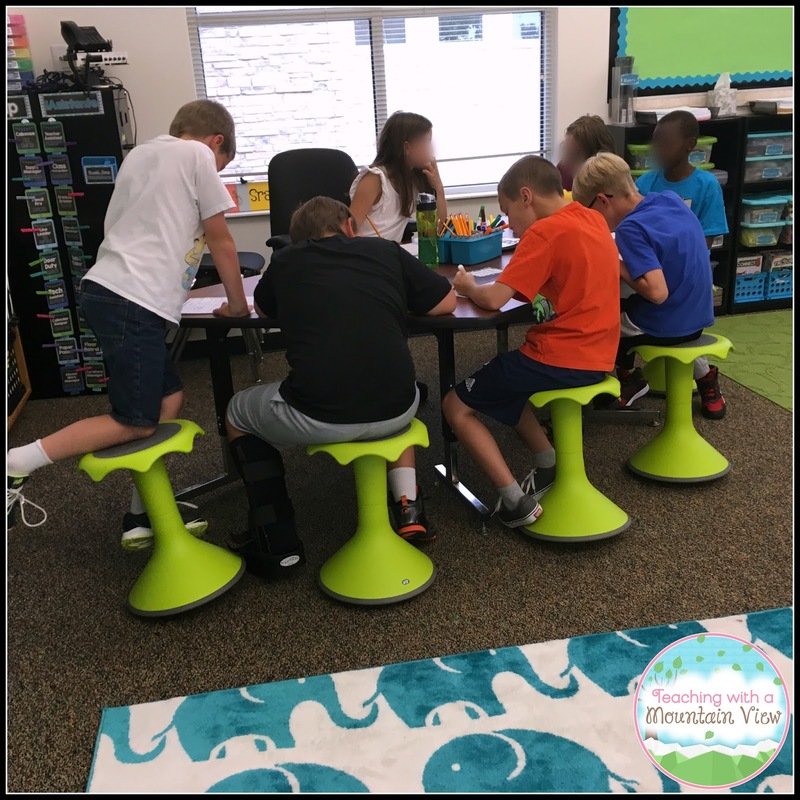 When we began the year, all of the seating options were confined to one space (in the picture below, all of the Hokki stools remained at one table). 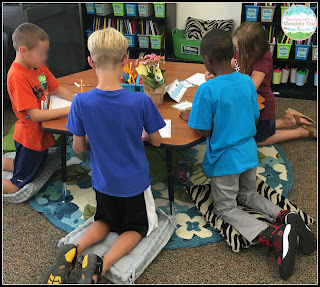 We realized that in order to be truly flexible, they should have a choice about exactly where they were sitting as well as on what. Now, at any given time, there are different seats all over the room. There are three Hokki stools at the trapezoid table along with an Otto Stool, a regular chair, and a stability ball! 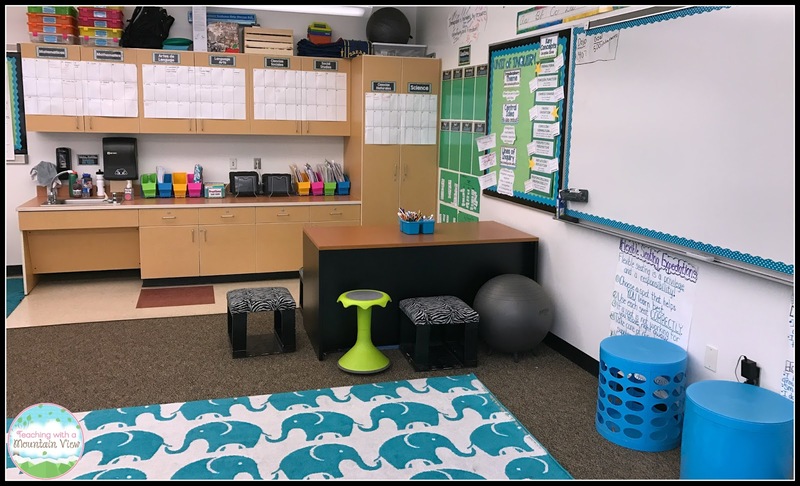 We added the Otto Stools a month or two after the start of the year, and they are SUPER popular, especially when kids are working in partners or joining me at the carpet for small group lessons. They love to have a place to sit other than the floor or a chair, as has been the options in years past. 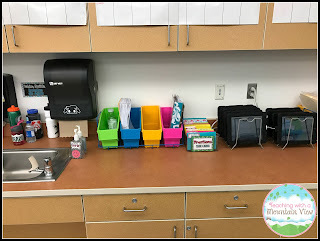 Other small changes were that we have a Home Base for water bottles (they only put them here when we are in small groups or they are away from their home base), and we changed how our classroom iPads are stored. The water bottles are stored behind the sink. The iPads are now on lid racks instead of in a bin. 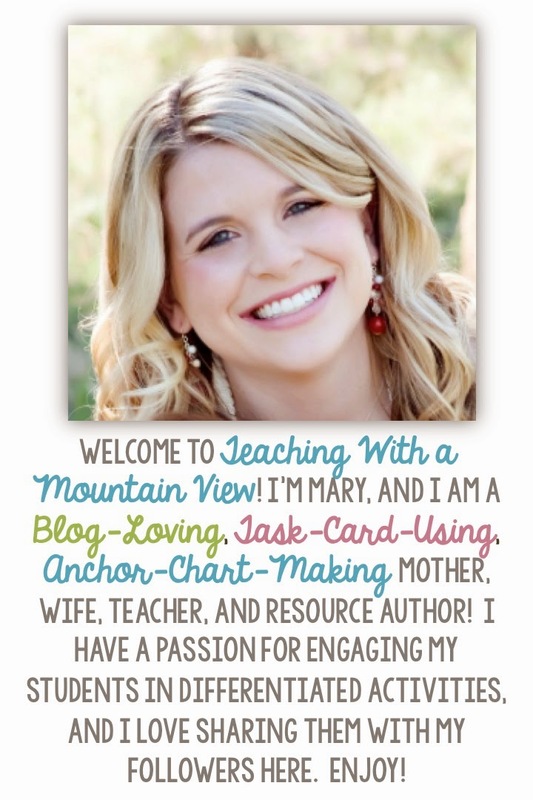 Classroom Management: I know, I know! I said this was a pro, and it really is, most days. But there are also days that we all have to come to the carpet, and I end up assigning students their Home Base for a day. There have been weeks that students haven't been able to chose where their Home Base is because they just. can't. handle. it. 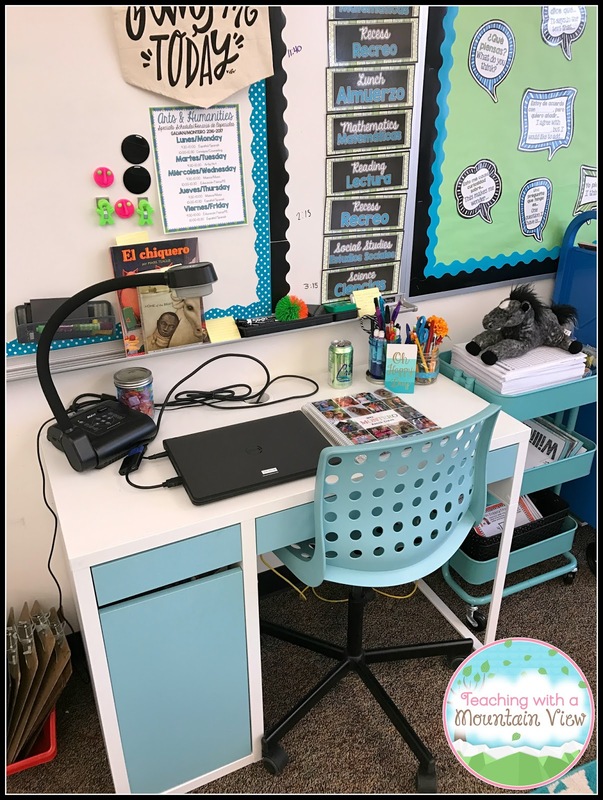 It is also a little bit more difficult to move students around because it often means that I need to also move someone who IS doing a nice job at their chosen seat in order to accommodate another student. 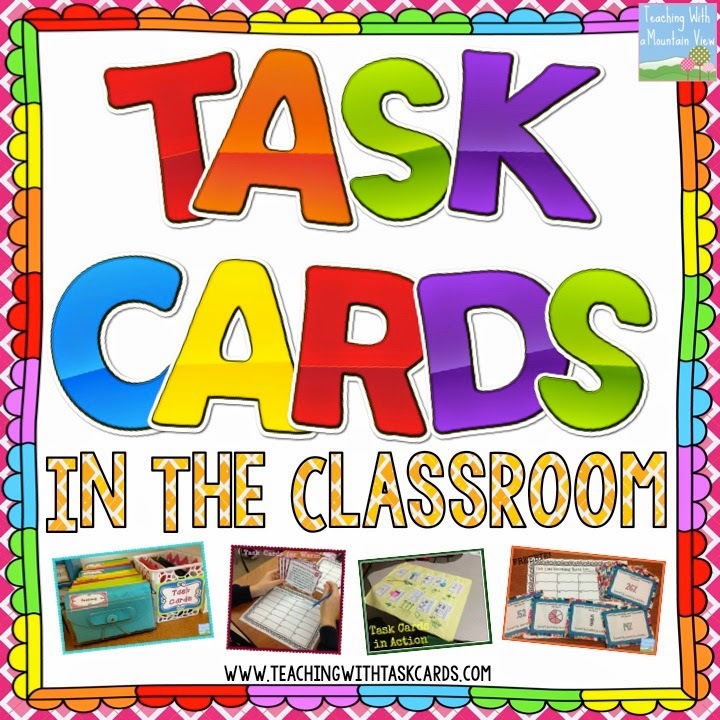 We do very little independent work in class, but occasionally it can be difficult to reign them in to work independently when their spaces are so collaborative. Usually, turning on some quiet music (I love the Piano Guys for my classroom!) quiets them down and reminds them that it's a quiet work time. Clean Up: With such a wide variety of options, clean up at the end of the day can be a little bit daunting. No longer can I tell them all to stack their chairs and be done with it. They have to neatly put their choice of seat under their table, and that's challenging for some of my darlings. :) It can also become a challenge when they are working all over the room and have to return seating to where it belongs. Some kids are PROS and this, and some just can't remember to return things no matter what. Luckily, I have a few students who take great pride in how everything looks at the end of the day, and they pick up the slack for others! I am also in charge of cleaning the stability balls, as our custodial staff just couldn't take on that extra responsibility in addition to everything else they do. 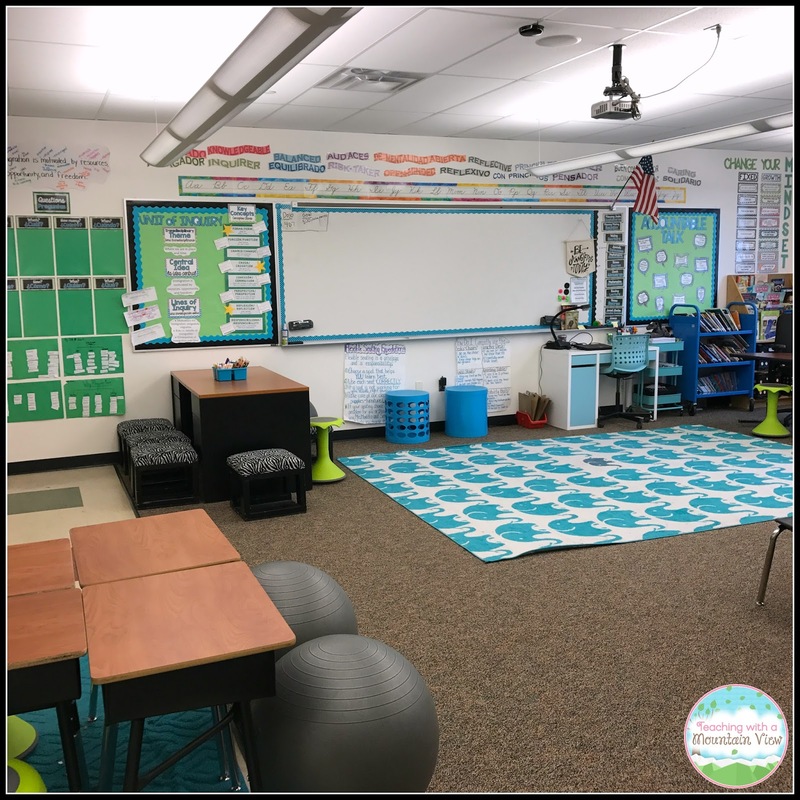 Teacher Space: This is a half pro/half con! 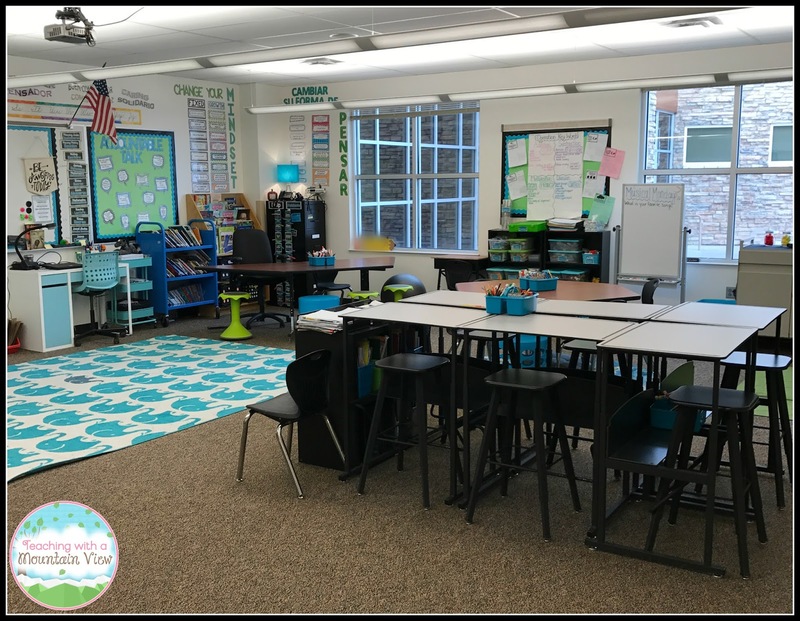 When we decided to implement flexible seating, my co-teacher and I gave up our big, beautiful teacher desk. Now, it's a seating option for students. We replaced it with a very small (VERY small) desk from IKEA that was just big enough to fit a laptop, plan book, and document camera. We use the document camera all day long, so we really needed a good place for it. This desk became our home base, and while it's adorable and cute, it's SMALL! 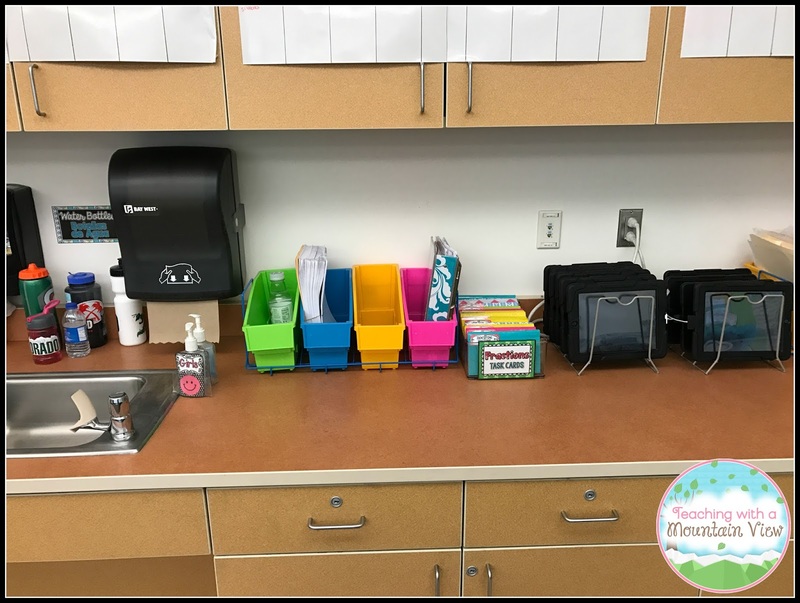 You can see on the counter that we also have rainbow colored bins, which is where we keep copies and materials for the coming weeks. This system truly FORCES us to stay very organized, which again, is a pro and a con! Any time I post a picture of flexible seating on social media or someone new walks into the room, I get a lot of questions! 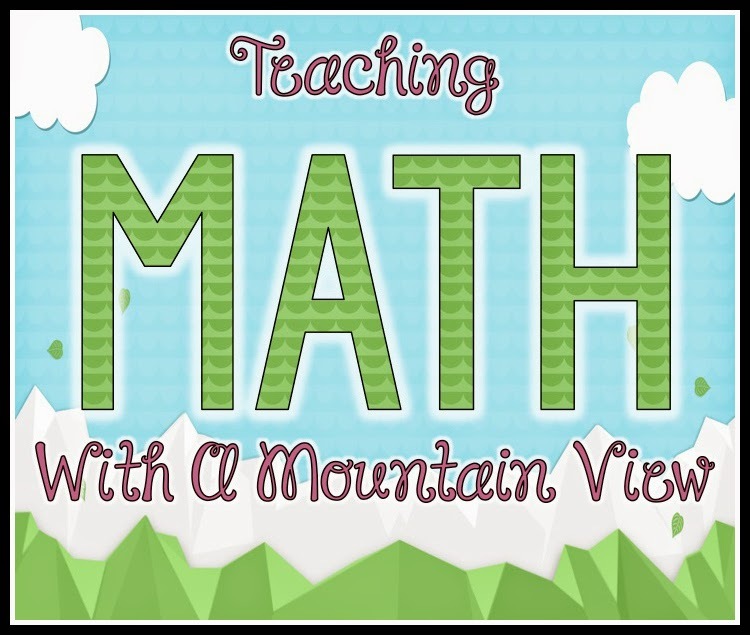 Here are some of the most common questions I get asked, and here are my answers! Q: Where did you get that ELEPHANT RUG!? A: This one always makes me laugh! It's really hard to find a beautiful rug for a classroom. It is from Wayfair and as of today it is not on their website anymore. HOWEVER, I have to caution you that it is not "classroom quality." It has stayed looking beautiful and mostly white, but the edges have curled significantly, despite our desperate attempts to prevent it. I am currently trying heavy duty Velcro to see if it will stay down, but I'm not super optimistic! Q: How do parents respond to the change and how do you get them on board? A: Most of our parents were COMPLETELY and TOTALLY on board with this at the beginning of the year. Some were not. First, we asked them to put their trust in us (and in the research, which we shared with them). Second, we reassured them that we had plenty of desk and chair options if it truly became an issue for their children. After those initial conversations, we have had nothing but positive interactions with parents. They even love coming in and sitting on the Hokki Stools and stability balls during conferences and parties. 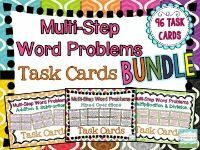 Q: How do you organize all of the supplies? A: There are several mentions of this above, but I'll directly address it here. Each student has their own book box. 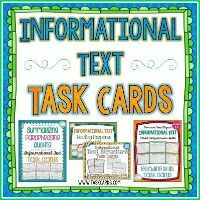 In it are folders for all of the core subjects as well as spiral and composition notebooks for each subject. 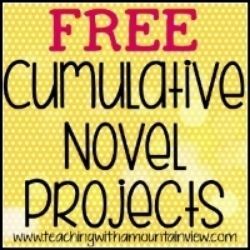 This is also where they keep their novels and anything we are currently working on. 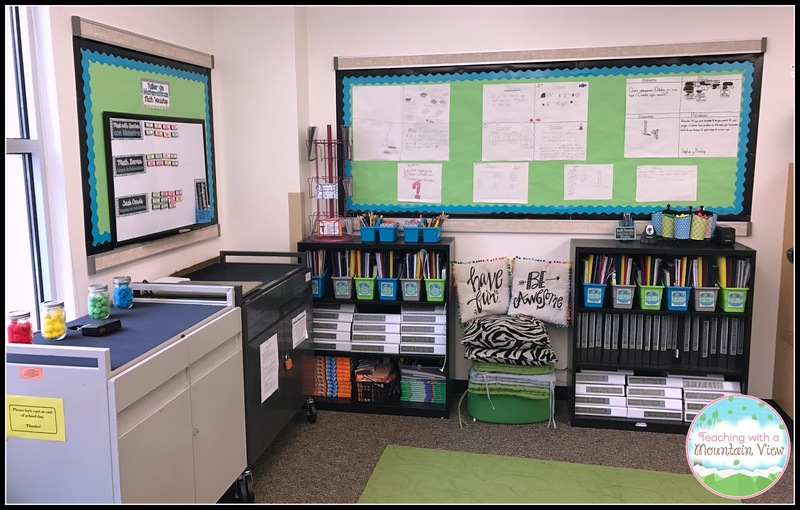 In addition, they each have a writing binder (the white binders pictured above) and a social studies binder (the black binders). They pull the binders out as needed. We have bins of paper scattered throughout the room so that students can easily access paper. Each seating area also has a bin of basic supplies which are kept community style. Some students choose to keep pencils or mechanical pencils in their individual book boxes, and we are fine with that! Q: What do you do with students during testing? A: For regular, in-class tests, students spread out all over the room. This hasn't been an issue for us. For standardized testing, however, it WOULD be an issue. We are very lucky that all of our standardized testing takes place in the school computer lab and library, which eliminates this as an issue for us. Q: Won't students have a hard time transitioning back to regular seating next year? A: A hard time? No. Will it be an adjustment? Maybe. 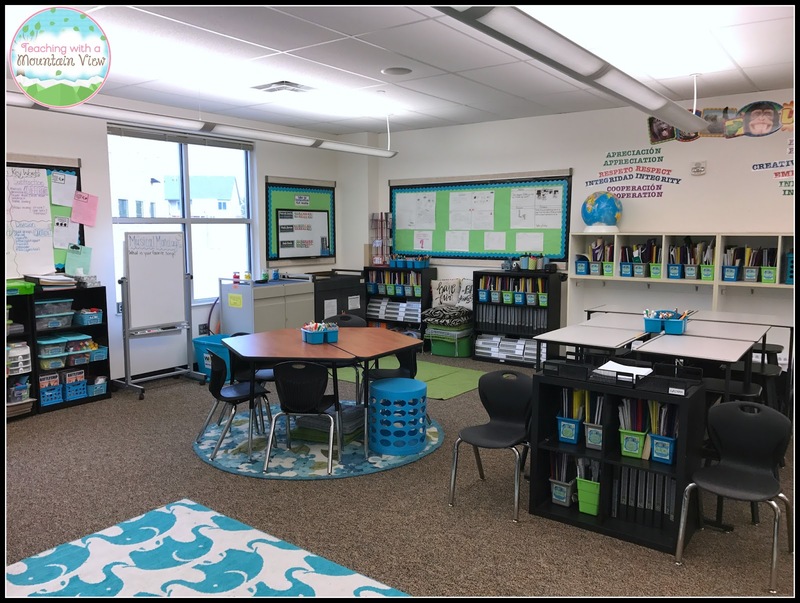 My take on it is that every classroom is different every year, and students have to adjust and adapt to the changes from teacher to teacher no matter what. I don't think we should change what WE believe in to fit next year's teacher's beliefs. If anything, I think for some students THIS was a harder transition than they will encounter next year when they go back to regular desks. Q: What do you do with students who simply can't handle the freedom? A: Unfortunately, after a lot of coaching and reminders, they lose their freedom. There are some students who, try as they may, just can't seem to choose a good fit spot for themselves. In that case, I choose their Home Base for them. :( If students are just having a momentary lapse in judgement, we have a "Safe Seat" which is a separate desk and chair that they can go to recover. This is part of our school-wide behavior plan. Q: How did you afford to buy all of that!? A: This is a super valid question. We were very lucky to get money from our principal to purchase much of what you see here. However, we also made good use of what we already had! 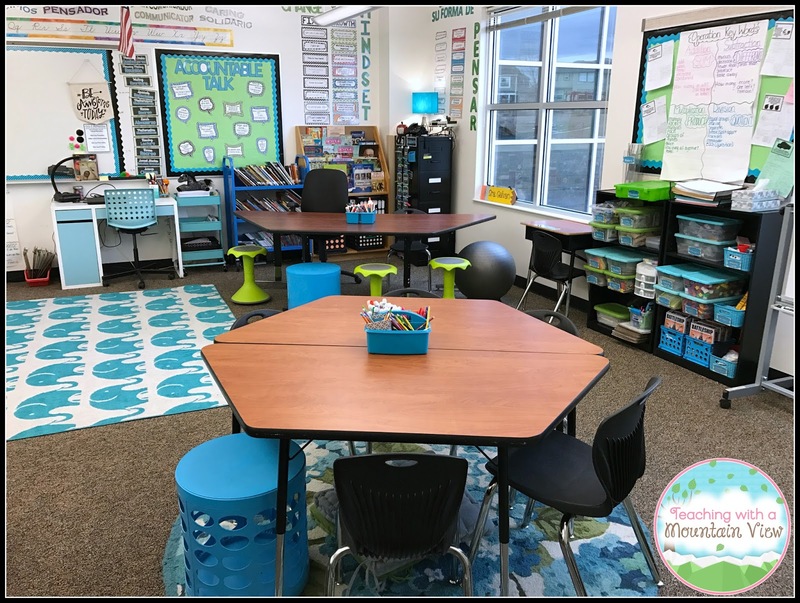 We used our whole group tables (we had two-- the trapezoid and hexagon table), our teacher desk, crate seats we had already made, etc. We added stability balls, Hokki Stools, and the standing desks. 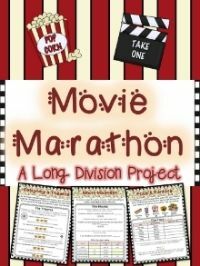 It's totally doable to transform your classroom on a budget. 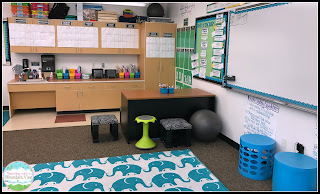 One of my good teacher friends down the hall has done an AMAZING job of making her room totally flexible seating with almost no financial support. She did a lot of thrift shopping, asking friends and neighbors for old desks, chairs, balls, etc. Her room is FANTASTIC, so it can definitely be done! If you are starting on a budget, I'd suggest starting with some pillows and stability balls. You will get the most bang for your buck with them. If you have a bit of a budget, definitely invest in the standing desks (or the equivalent) and Hokki stools. Q: Do the kids take turns picking a spot? How do you keep it fair? A: I have seen a lot of really great ideas on Pinterest and Instagram about how people "claim" seats or they rotate through them. The very first two or three weeks of school, we had kids rotating through the options for a day at a time so that they had the chance to try everything. From there on out, it has worked out pretty seamlessly. An equal number of students prefer to sit at a variety of places that we have not had to really manage it as much as some teachers have. 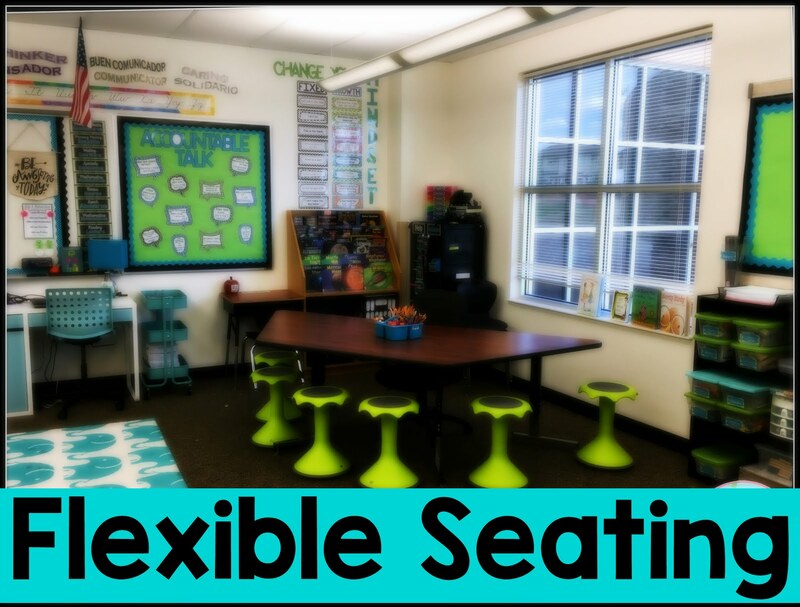 If you're looking for ideas, hop on Pinterest and type in "Flexible Seating Options" and you'll find some great ideas! Q: How do you keep the balls from rolling away? A: I got the ones with little feet on them, and it was the best decision ever! While they still roll a bit, they stay miraculously stable! BUY THE BALLS WITH FEET! Truly. 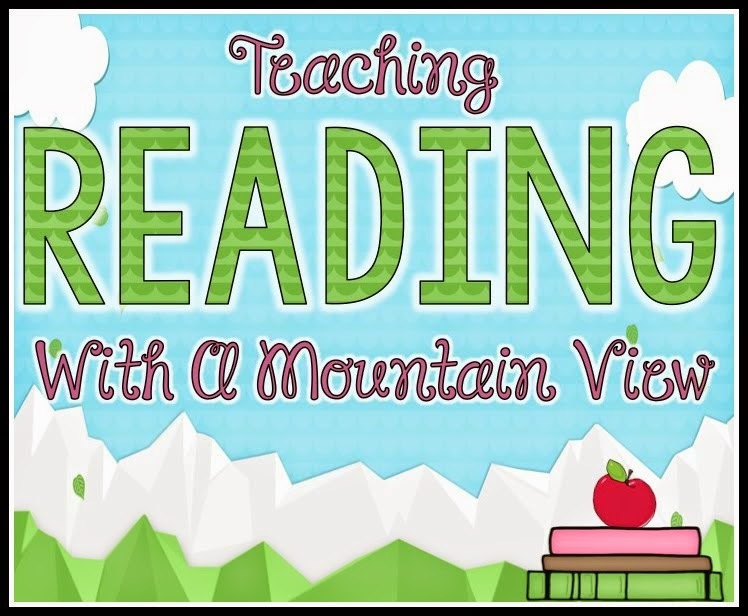 Q: What are your students' favorite places to sit and what are their least favorite places? A: I surveyed the students at the end of November to get a good feel of how they were feeling about flexible seating. Students unanimously voted for the standing desks as their favorite location. They LOVE them. They also really enjoy the Hokki stools and Otto Stools. The stability balls are a strong favorite of some students, and other students simply can't handle them. I am so, so glad I got the ones with the feet on the bottom because I think the balls rolling around would drive me crazy otherwise! The teacher desk is one of the least favorite options because it has solid sides and it can be hard for them to find a place to put their feet. As mentioned above, we also did away with the kneeling table, as most of my 4th graders did not care for it. Blue stools: These are Otto Stools. Love them!